In Draco's Weyrld, in the Kingdom of Nwm, a beautiful young woman finds herself being mentored by a dragon and a unicorn. Sonia is the 17-year-old daughter of a baron. She sets out on a quest to capture a unicorn, but instead becomes the creature's friend, and in the process she learns to become strong and self-confident. As Sonia's education continues under her two unlikely teachers, she matures into the woman she was meant to be and takes on roles previously only carried out by men. "Both thoughtful and imaginative, the author displays the rare ability to view the actions of humans through the eyes of magical beasts. 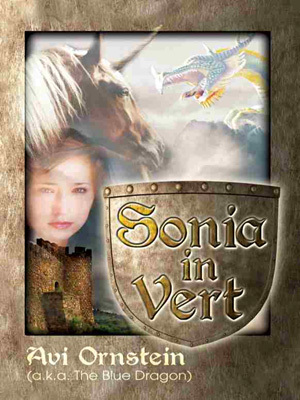 Sonia in Vert comes alive with colors and scents and masterful world-building. "—Janet Catherine Johnston, astrophysicist and master science fiction/fantasy costumer.